Client: a friend of mine. Assignment: design and build a pull string Frozen piñata for a 5 year old birthday party. 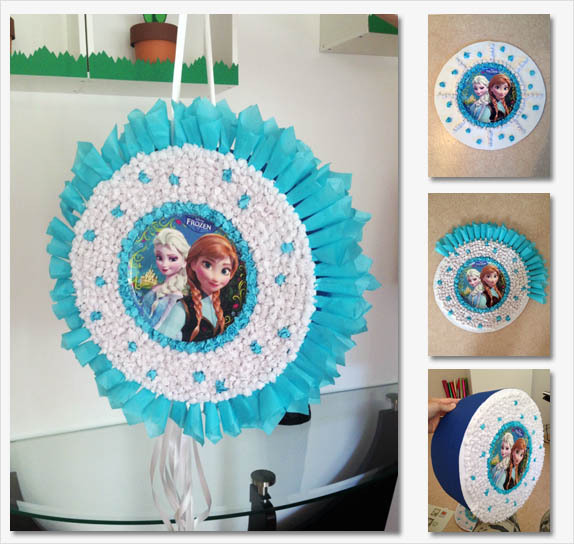 Material: cardboard, tissue paper, "Frozen" paper plate, ribbon, tape and glue.